USANA, word! : Introducing our newest Team USANA Triathlete, Rebecca Hoschke! 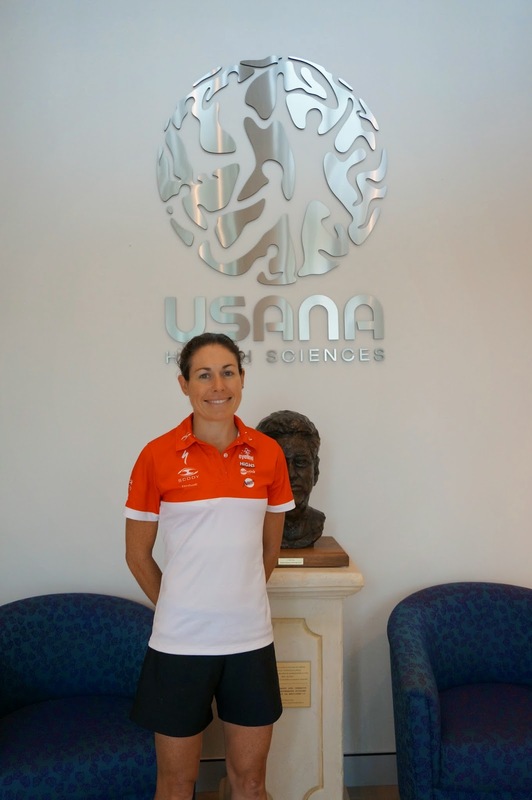 Introducing our newest Team USANA Triathlete, Rebecca Hoschke! The office has been abuzz with excitement in anticipation of welcoming our newest sponsored Team USANA Athlete Rebecca Hoschke. Rebecca is a country girl at heart who grew up in 'Dandloo', Kentucky, in Northern New South Wales. Always an active child, Rebecca enjoyed running and took up little athletics in her younger years. Keeping fit and healthy has always been a part of her life so it was a natural progression for her to take up sport as a full-time career. Although Rebecca always had a passion and love for sport, she went on to the University of New England in Armidale to complete her bachelor’s degree in Urban and Regional Planning and pursued a career as a Town Planner from 1999 to 2013. Her Town Planning career also included 16 years of industry experience as a Development Assessment Executive in metropolitan Sydney. Her introduction to long distance running came after she successfully completed her first marathon in 2004. It was at this marathon that she met some other triathletes in her running squad and soon joined their team. 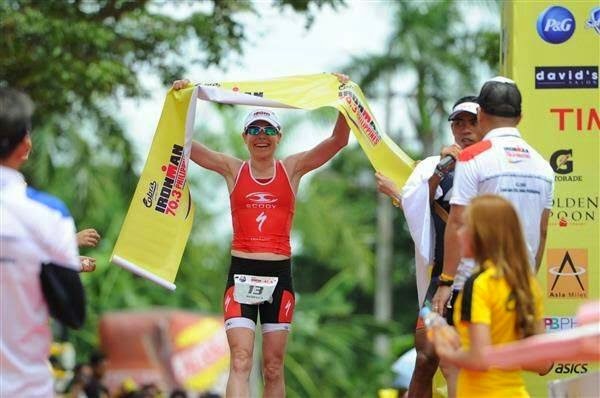 She was truly inspired by the challenges of long course triathlon instantly. Following that, she raced as an age group athlete from 2005 to 2009 in several half and full Ironman distances and quickly established herself as an elite athlete. ‘Winning Ironman Australia followed by qualifying and racing at the Hawaii World Ironman Championships at Professional Level in 2013, was an experience of a lifetime,’ Rebecca says. She considers these achievements as a reward and reflection of the years of hard work she had put into her progression in the sport and she is passionate towards continuous self-improvement and growth. She absolutely loves triathlon because of the challenges it brings both to the mind-and-body. And, she loves the environment, the community spirit and camaraderie from all levels and dimensions of the sport. The sport and what it represents to her, has brought significant changes in Rebecca’s work and lifestyle, encouraging her to take risks not just in racing but in her career as well. For a period of eight years (2005 - 2013), she had been living the challenging and physically demanding life as a town planner (executive assessment) and as a professional triathlete in Sydney. Rebecca is incredibly grateful for the support she received to facilitate this. 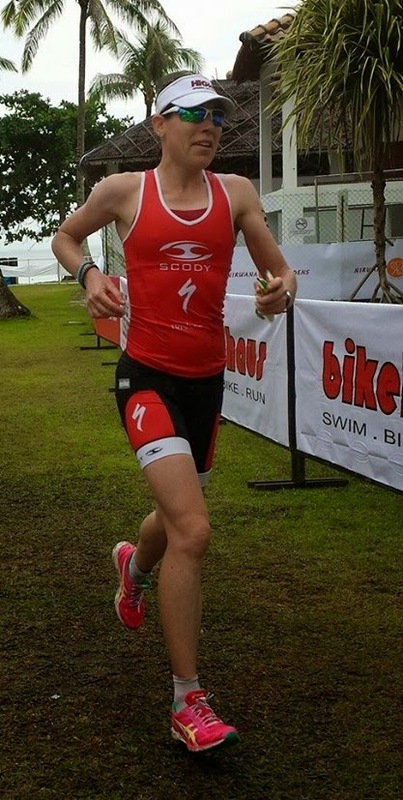 Experiences in racing at both domestic and international levels as well as recognizing some changes within the town planning industry were the catalyst towards her decision in November 2013 to take a back step from planning and do a forward move in triathlon. This is probably one of the most empowering decisions she has ever made. One of the most risky is walking away from financial security and a weekly salary package, in pursuit of a dream. Through consistency, growth and development, guided by her coach and support from her sponsors, family, friends and her husband Nigel, Rebecca now lives her dream having a full time career as a Professional Triathlete. To Rebecca, 2014 has been a rewarding and challenging year on so many levels, a huge learning experience growing her Professional Triathlete profile also in areas of coaching, mentoring and Ambassador opportunities. Ironman training and racing has huge demands on the body as well as the mind. Rebecca’s best Ironman time to date is nine hours and 19 minutes. She always tried to be as strong, healthy, fit and happy as she can be. Rebecca first trialled USANA supplements in July 2014. At that time she was running quite low with a virus, tired from a heavy period of racing and adjusting to her new career change. Kate Gyngell, her former work colleague in planning recommended USANA supplements to her. She was drawn to USANA because of its superior quality and the research behind its foundations. She also knew that multiple elite professional athletes all around the world incorporated USANA to optimize health, well-being and performance. ‘It is an absolute privilege to be a Team USANA Athlete for USANA Australia. Thank you so much to all the members of the team for your support and I look forward to continuing my journey with you’, expresses Rebecca.